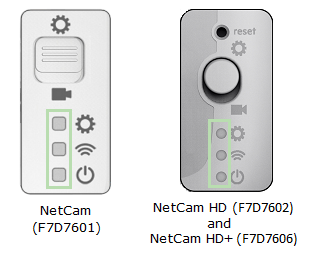 The Wemo® NetCam allows you to check your home anytime using your mobile device. The cameras connect to your Wi-Fi without the need of a computer. 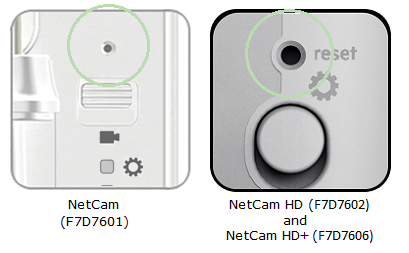 This article will show you how to restore your NetCam to factory defaults. 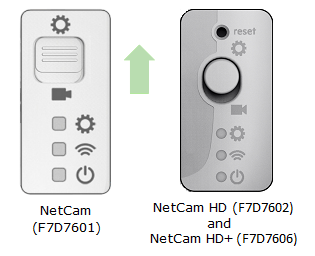 Step 1: Switch your NetCam to Setup (gear icon) mode or to UP position. NOTE: The switch is found at the rear of your device. Step 2: Using a pen or paper clip, press and hold the reset button for 15 to 20 seconds or until the indicator lights start to blink.